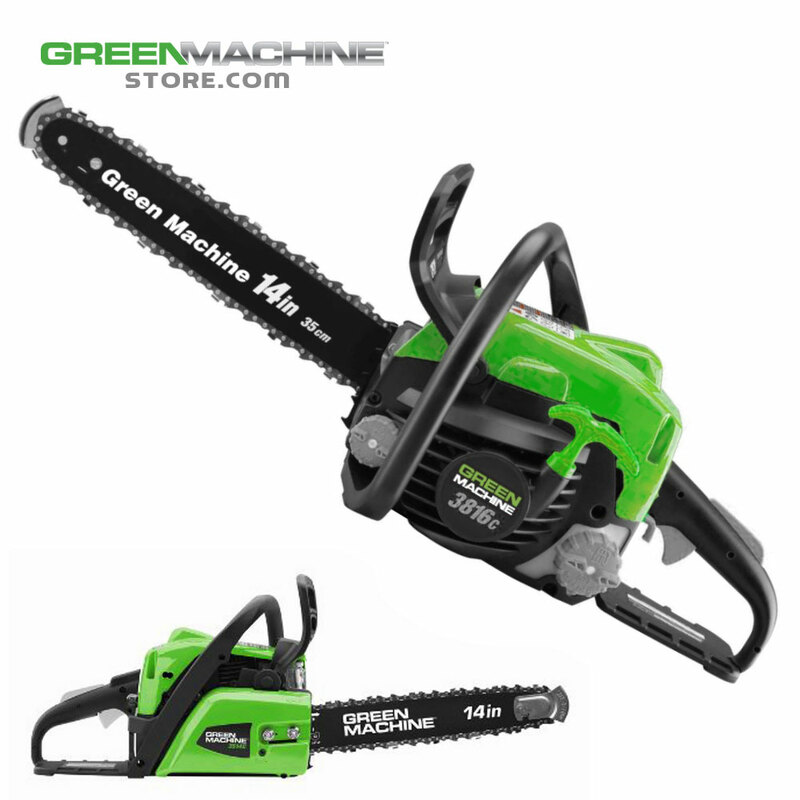 Green Machine’s 35cc 14” Chain Saw is equipped with a powerful low emissions engine. Features include a 3-Point Anti-Vibration system and a 14” Bar with 3/8 in. low profile, skip tooth chain. The GM10514 is the chain saw you have been waiting for, with safety features like Inertia-Activated Chain Brake & Safe-T-Tip® which eliminates rotational kickback. The Chain saw also comes with it’s own Deluxe Case & weighs only 10lbs.